Whitehouse started the site as a passion project. She was frustrated with the official channels to report bike lane violations after her own close call. 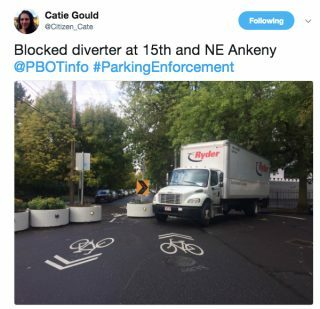 In June of 2016 she found herself almost caught underneath the wheels of a commercial truck that turned into the bike lane. Unscathed but mad, she tried reporting the incident to the truck company and to the City of Chicago, but couldn’t connect her story to someone who cared. Just two weeks later Whitehouse read about another rider who was fatally struck in similar circumstances: Virginia Murray, a woman the same age, also riding a Divvy bike share bike, was hit by a turning flatbed truck driver. She was the first person in the U.S. to die while using bike share. Advocates in Washington, DC began using the site in March, then Nashville joined in April. The website got a flurry of press in late July after Whitehouse met with the Chicago’s Department of Finance, which receives nearly $264 million in parking tickets each year. According to a tweet from @bikelaneuprise in August, membership had doubled within a month. Now the website lists twenty-eight cities with contributors. The most recent map available, updated July 31, showed Portland as the first West Coast city to have submissions. Portlanders getting into the action. To become a contributor, set up a profile and start reporting your violations (we still recommend calling Portland Parking Enforcement at 503-823-5195 or the non-emergency Police line at 503-823-3333). All reports show up on the global map which is updated monthly. Once registered, you can report issues in any city on the map. Currently, there are only four cities with their own local maps, but more are under development for other cities once they gain enough usage. 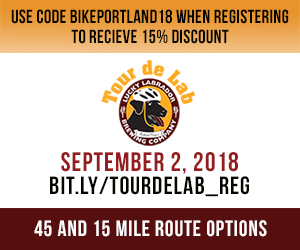 Whitehouse isn’t involved with any bike advocacy groups, but is happy that this information can help other organizations who are pushing for change, either by showing information to city officials or educating badly behaving companies. The work is currently funded by donations and supported by volunteers. Whitehouse is already working on the next version of the site, which will have a more user friendly submission process with improvements for both mobile and desktop. Calling all Portlanders: Next time you see a bike lane obstruction, you know what to do! — Catie Gould (@Citizen_Cate) and Emily Guise (@Eguise): Read more in their Adventures in Activism column. 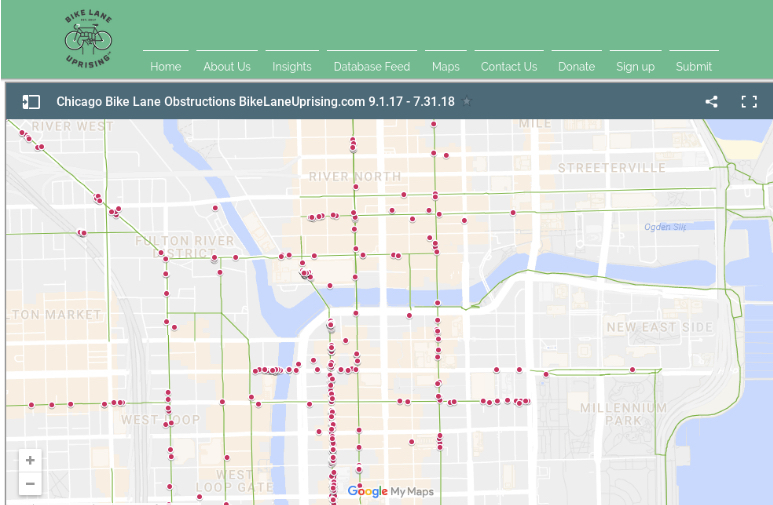 The post Bringing the ‘Bike Lane Uprising’ to Portland appeared first on BikePortland.org.